The season might be coming to a close, but our rental deals are heating up! These rates apply on all trips beginning Labor Day weekend and ending after Memorial Day weekend. An additional 25 miles each day for free! That's 125 miles a day of free travel! 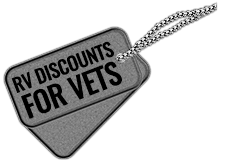 In addition, we’ve instituted a full time discount for Police/Fire/Military/Seniors! This is a full year, anytime discount program! An additional 50 miles a day for free!